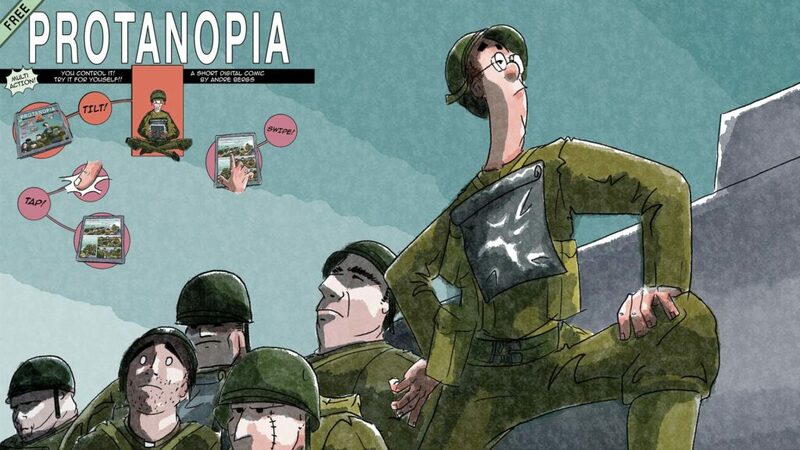 Set during D-Day’s allied landings in 1944, Protanopia is a short free interactive comic for iOS and Android done in a unique style that blends 2D and 3D animation, comics and games. 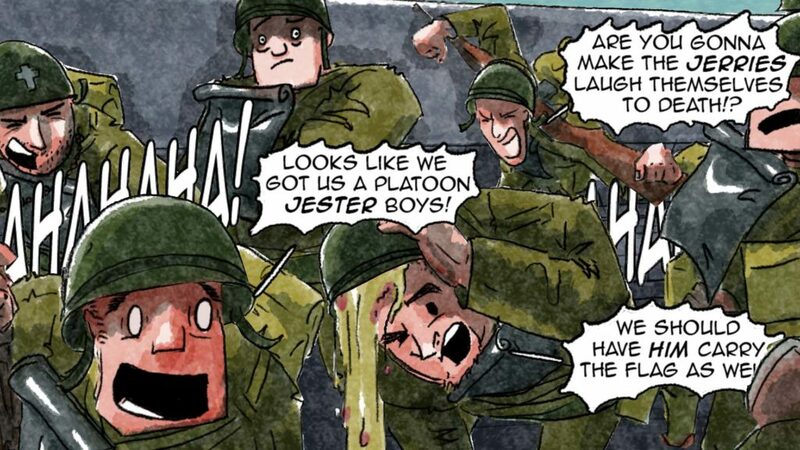 Set during D-Day’s allied landings in 1944, Protanopia tells the story of a group of soldiers that -in an extreme attempt to camouflage themselves- dress up as clowns. Beyond its surreal humor, Protanopia is first and foremost an exploration of what a digital comic could be, pushing the narrative horizons of the art form. The reader can control the camera angle by tilting the tablet or smartphone. The result is awesome and, above all, truly innovative. André Bergs is an animation director who worked on independent projects (the short 3D film Pivot) and for major players such as Lego and Disney (Legends of Chima, Jake’s Buccaneers Blast). Story and Animation: André Bergs. Original story: André Bergs and Angel Aguirregomozcorta.